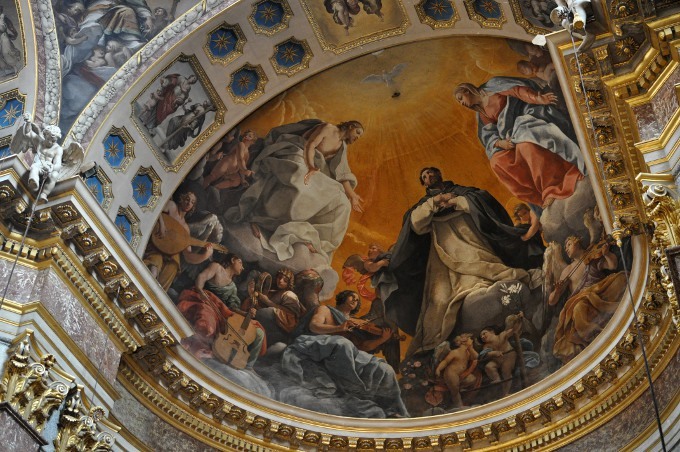 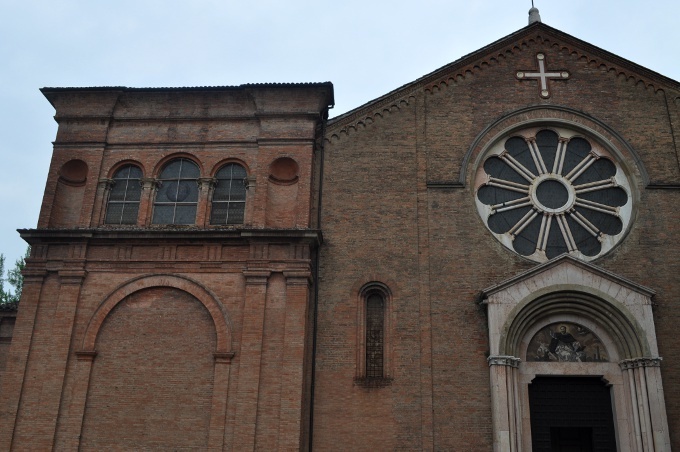 A visual tour inside the church of San Domenico, Bologna . 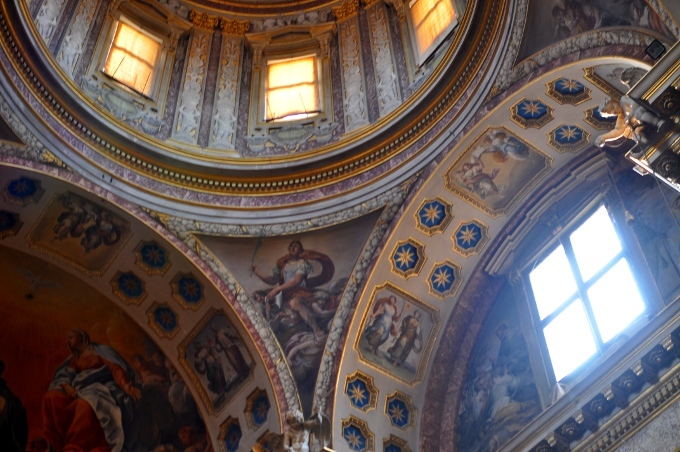 I visited this church about one year ago and stupidly I didn’t take any pictures, so when my sister visited the city some weeks ago, she kindly took the pictures I wanted! 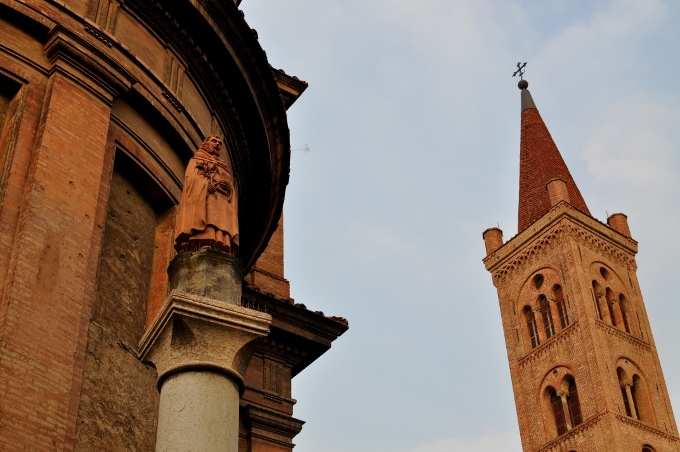 San Domenico is not as impressive as the other churches of the city (S. Petronio and S. Giacomo) but it’s certainly the most full of treasures. 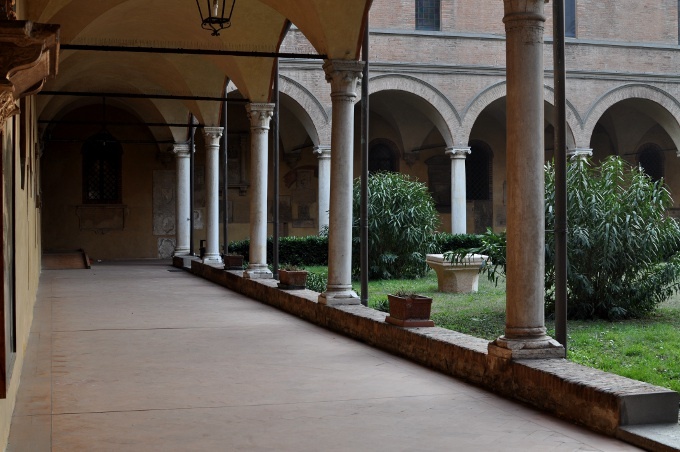 As it’s located not far away from the centre, it’s not so crowded and its silent creates an atmosphere of peace and meditation. 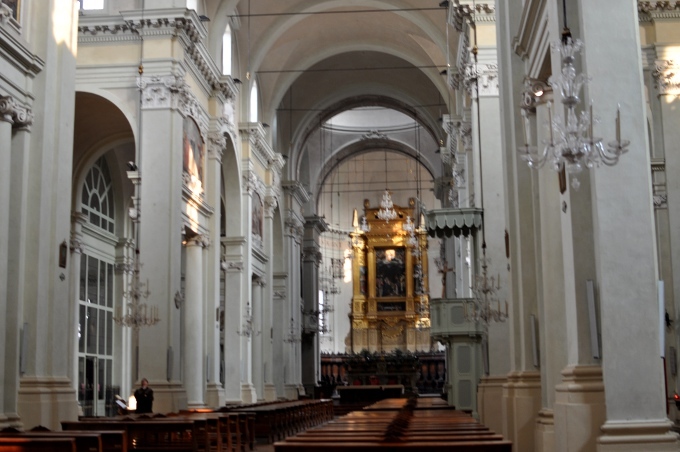 The interior is completly Baroque style and in the lunettes, above the Ionic columns along the nave, you can see 10 paintings, depicting episodes (true and untrue) in the history of the church. 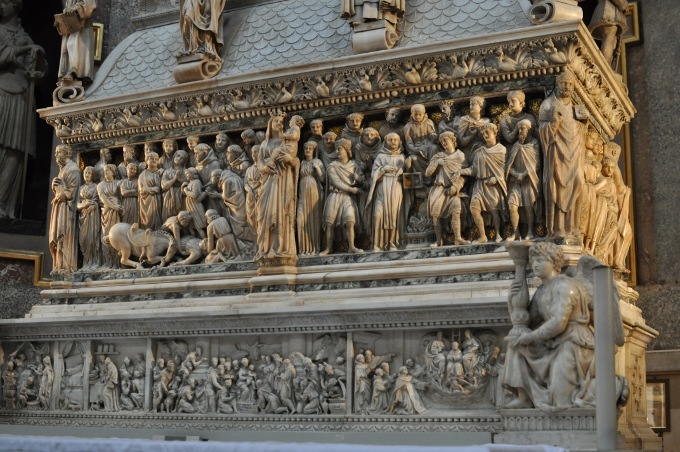 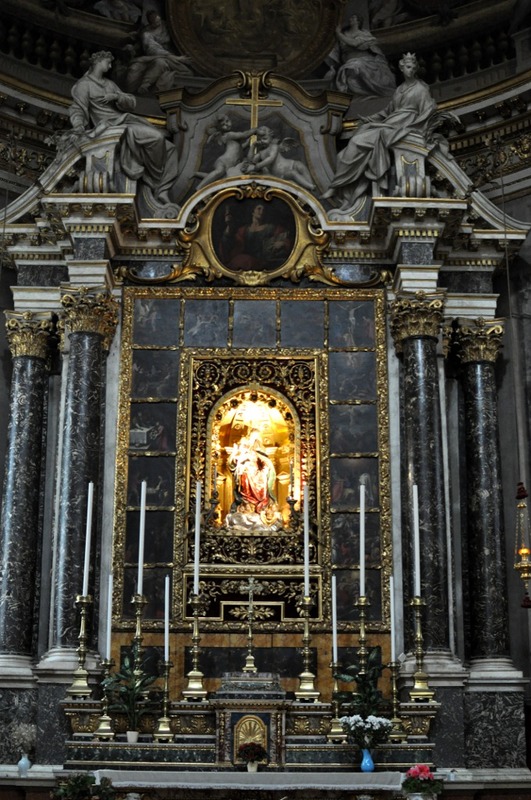 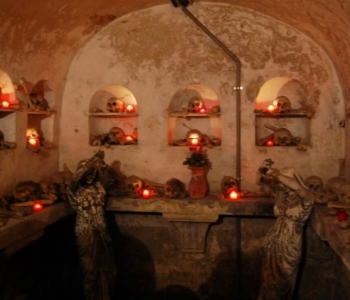 Other things that especially amazed me are the Arca, a huge white marble monument by Nicola Pisano containing the precious reliquary which preserves the skull of the Saint, and the wooden inlays of the choir behind the altar by Damiano Zambelli. 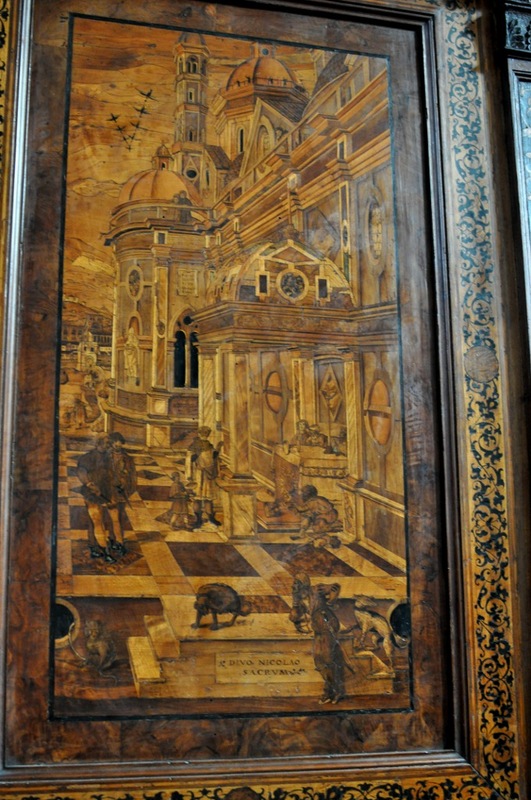 The church hides also other wonderful things: a painting by Filippino Lippi “Mystical Marriage of St. Catherine”, a magnificent organ which was played by a young Wolfgang Amadeus Mozart, a small museum housing a wide collection of precious reliquaries, chalices and monstrances (really worth visiting! 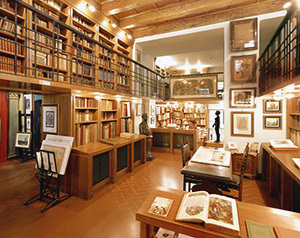 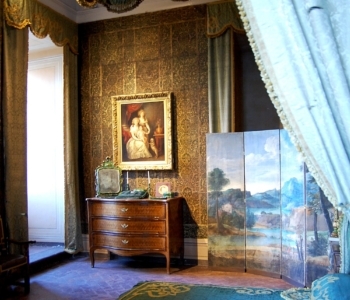 ), three clositers, a convent and a library. 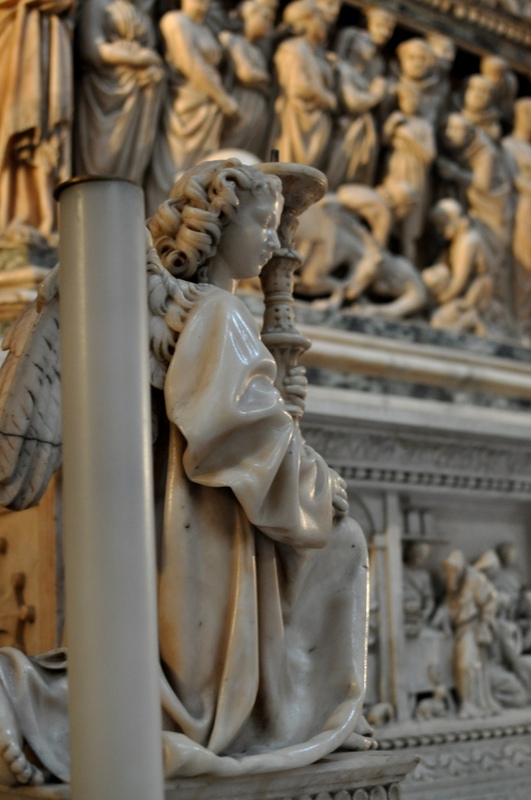 Arca di San Domenico, made by Nicola Pisano and his workshop, Arnolfo di Cambio and with later additions by Niccolò dell’Arca and the young Michelangelo. 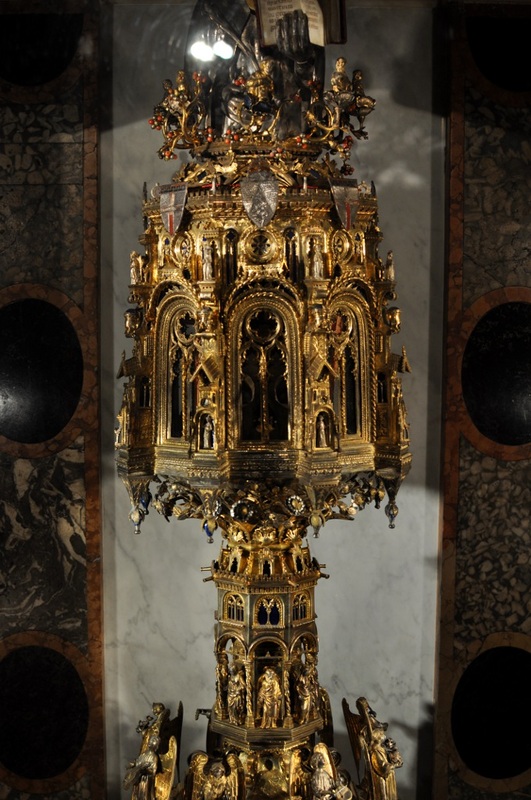 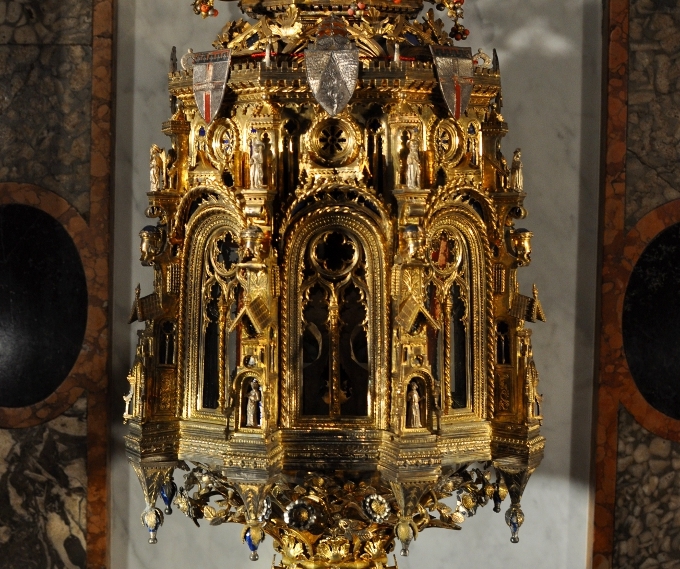 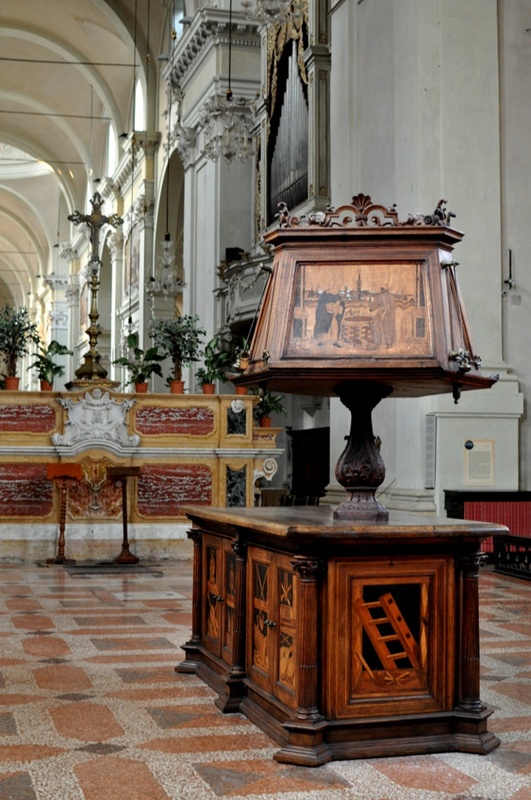 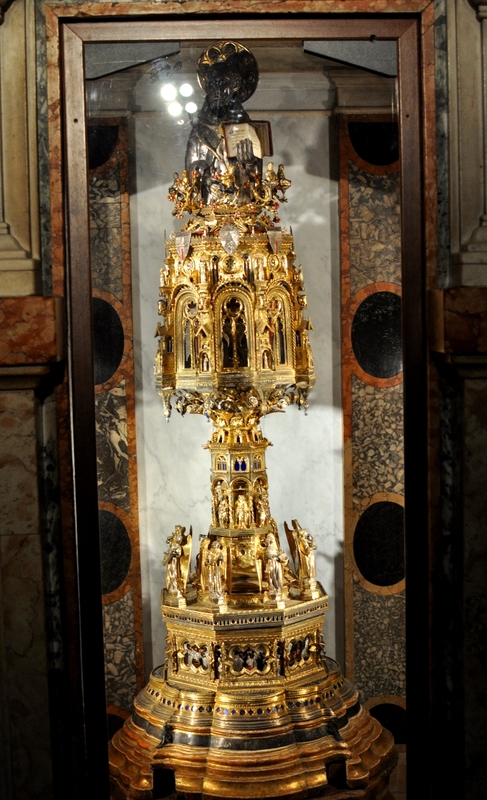 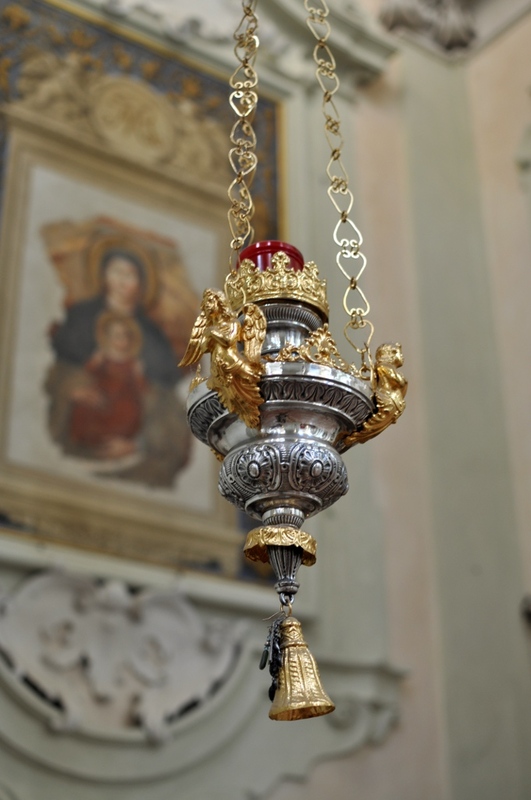 Behind the altar of the Arca, under the sarcophagus is a small chapel, protected by a bronze grill, containing the precious reliquary with the head of Saint Dominic. 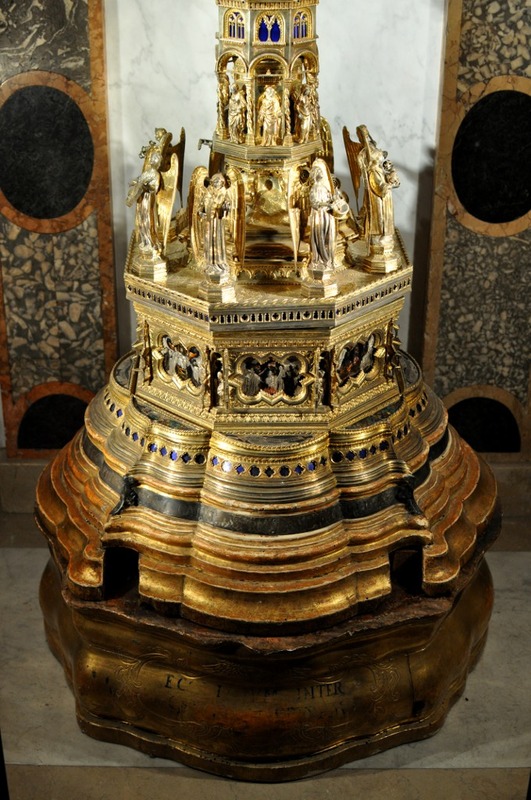 This masterpiece of gold and silver is the work of the goldsmith Jacopo Roseto da Bologna (1383). 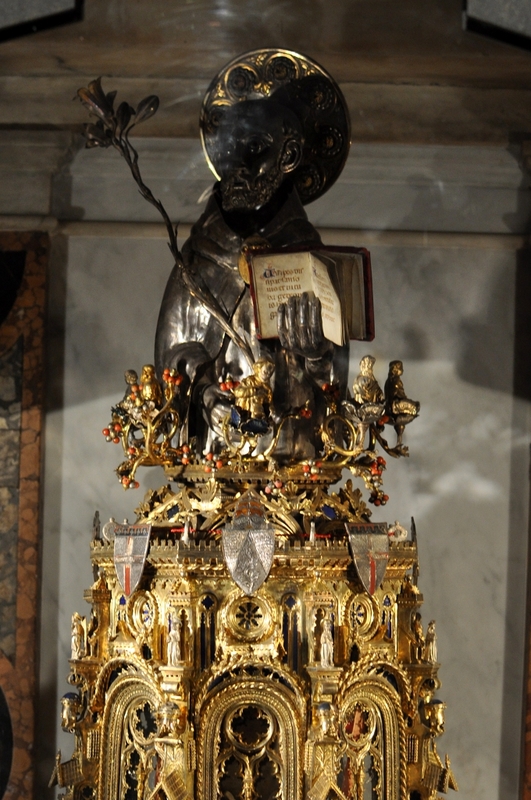 The silver bust of the Saint crowns the whole, but it was added in a later stage. 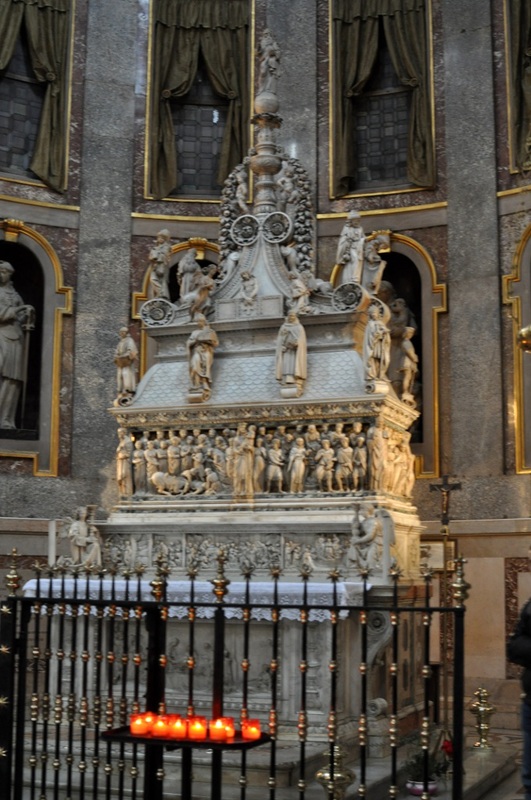 This monumental choir was moved behind the high altar in the 17th century. 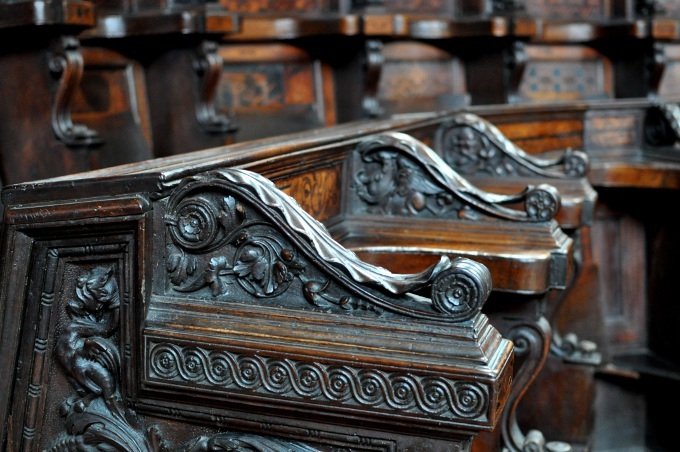 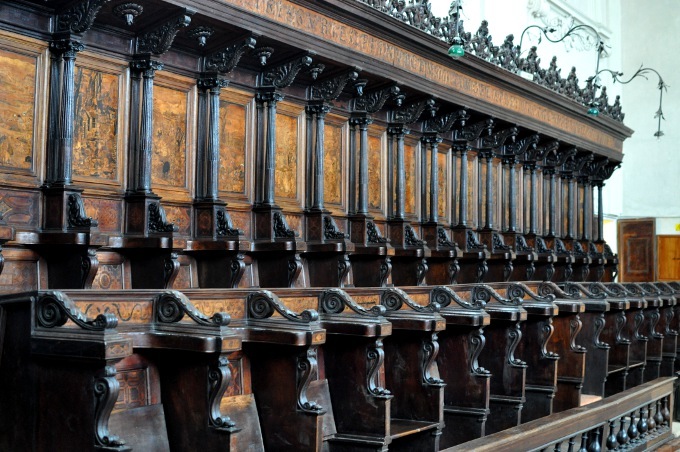 The 102 wooden choir stalls are an exquisite example of Renaissance carving by the Dominican friar Damiano da Bergamo (Damiano Zambelli). 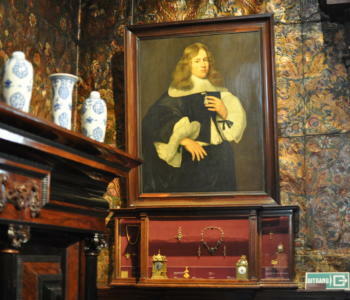 (1528–1530). 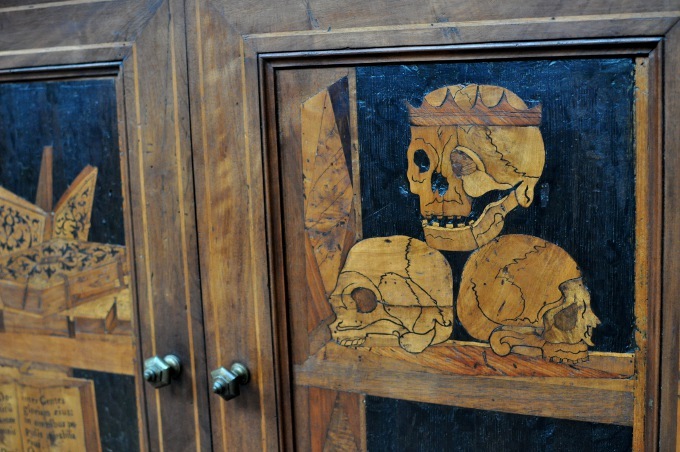 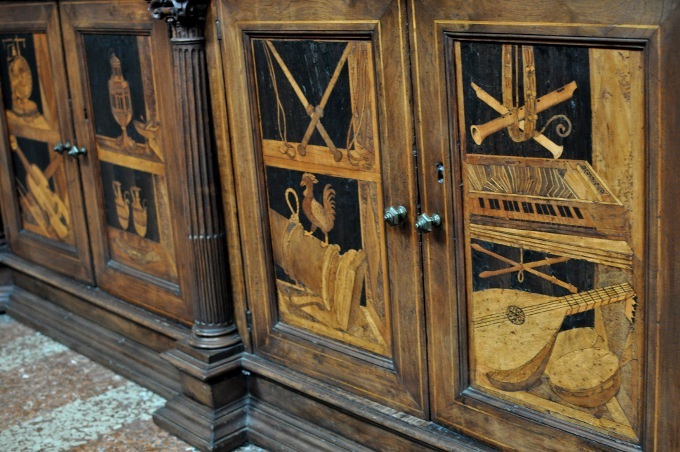 Between 1541 and 1549 they were inlaid with intaglia by the same artist, using a series of drawings from a book by Giacomo Barozzi da Vignola, and carved by his brother Stefano da Bergamo. 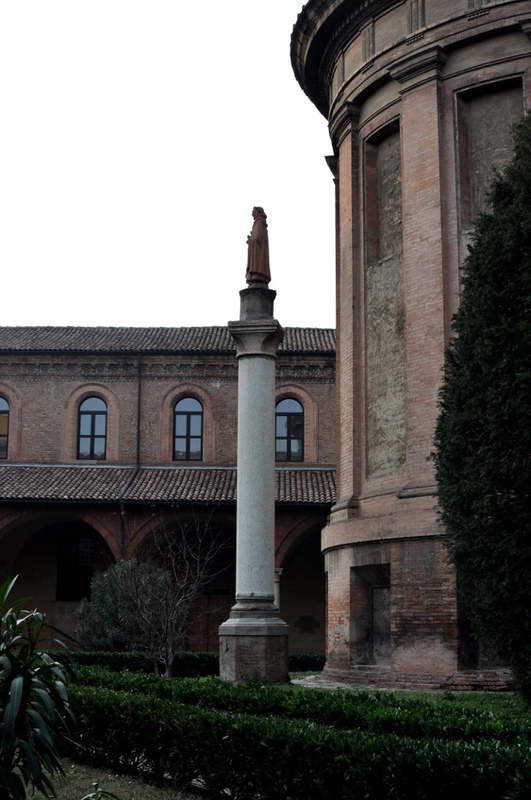 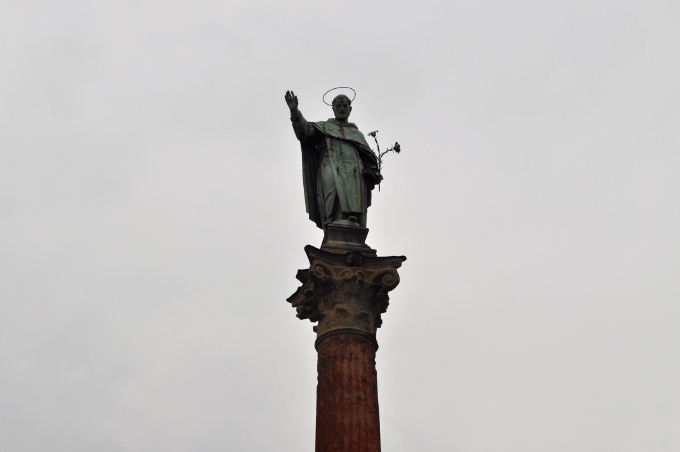 The work was finished by brother Bernardino da Bologna. 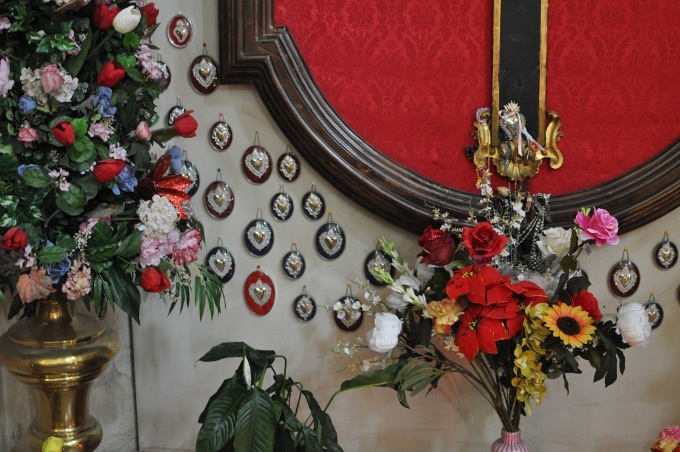 These decorations display scenes from the Old Testament (on the right side) and from the New Testament (on the left side). 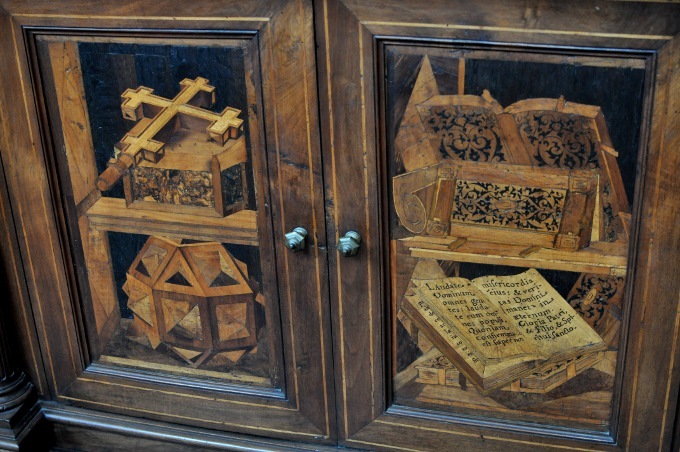 Because of its extraordinary artistic value, this remarkable marquetry work was considered by its contemporaries as the eight wonder of the world. 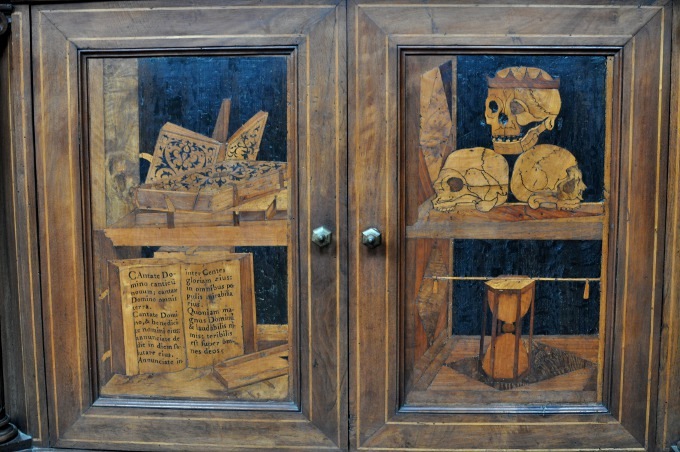 It is also noted in the Vite (IV,94) by Giorgio Vasari. 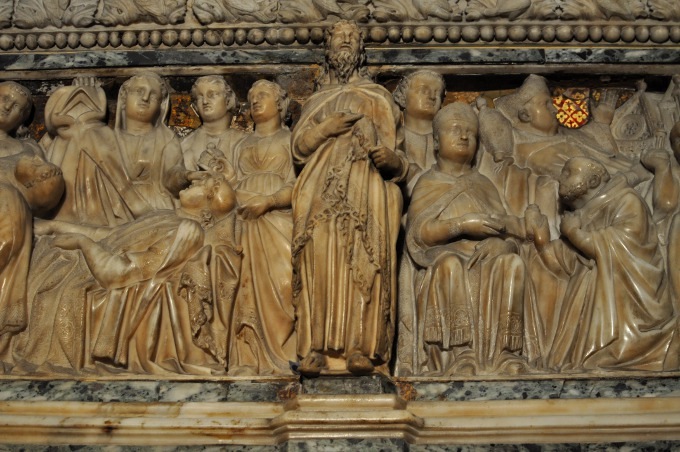 The Story of San Girolomo, intarsia by fra Damiano da Bergamo. 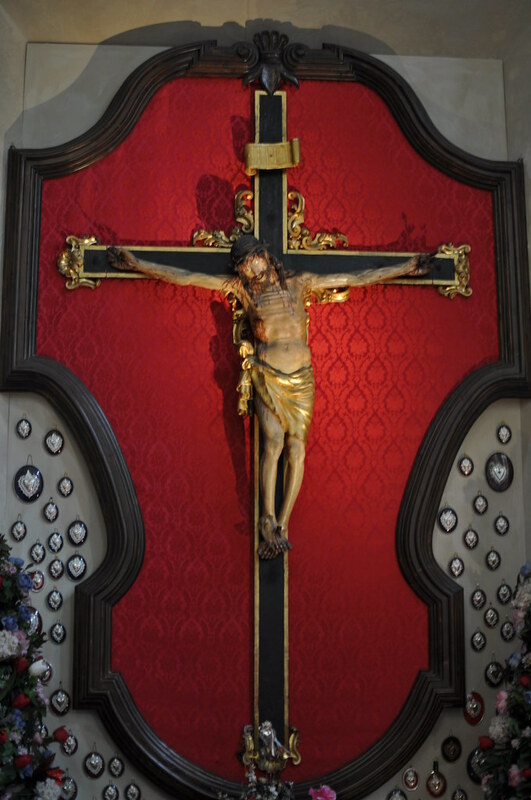 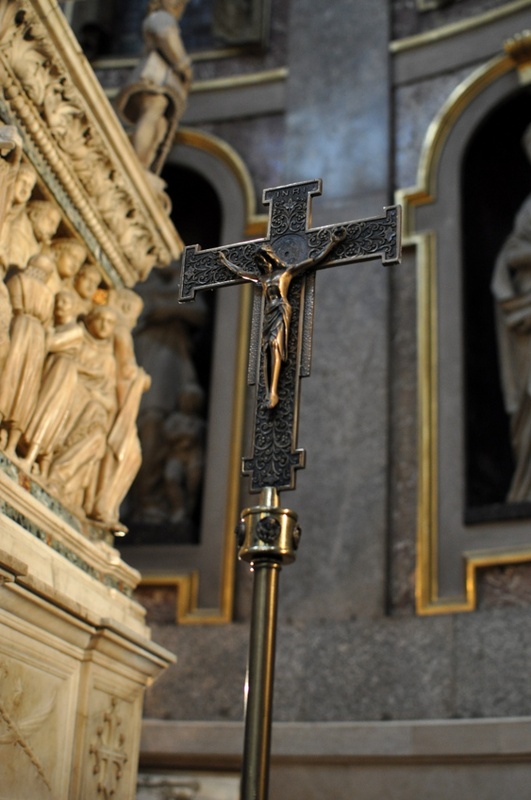 A wonderful crucifix and an ex voto collection just on the right of the entry.